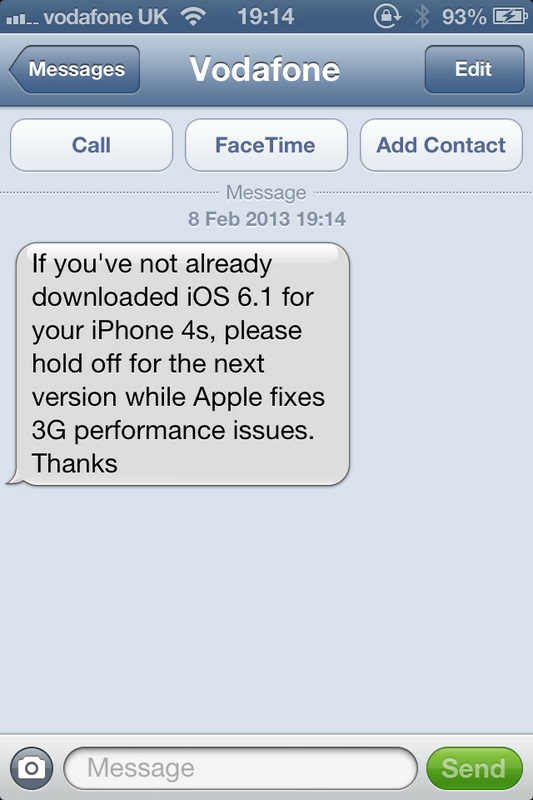 Vodafone is warning its customers using the Apple iPhone 4S that they should not update the operating system on their handset to iOS 6.1 at this time. An issue with the latest OS build is preventing some owners of the device from connecting to the internet, sending and receiving texts and could even prevent users from making and receiving calls. The Cupertino based tech titan released iOS 6.1 last week with a scarcity of new features like the ability of Siri to purchase movie tickets for you, new placement of some music volume controls on the lock screen, and some bug fixes. 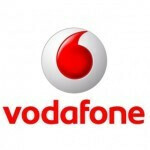 The problems occur intermittently over Vodafone's 3G network. The carrier put the blame squarely on Apple, saying that the tech giant is working on the software issue and the mobile operator recommends that its Apple iPhone 4S customers refrain from updating their phone until Apple says it has fixed the problems. Apple has not commented on the situation and so far, no other carrier anywhere has advised its iPhone 4S packin' customers not to install iOS 6.1 at this time. Are any of our loyal readers using the Apple iPhone 4S-or any iPhone model-having problems making calls, texts, or connecting to the internet since updating to iOS 6.1? Let us know by dropping a comment in the box below. Wasn't iOS the os that just works? iOS and Android equally have issues. Didn't Samsung just issue a patch on some SG3 as it had a Exynos exploited that would brick your phone? I own a Note 1 and iPhone 5. Bth top have there faults. I rooted and rom'd my Note in hopes of eliminate issues like battery drain, but not luck. As for 6.1, my phone works just fine. Exynos exploit has NOTHING to do with android, to be honest.. Not that I like Samsung and I know android have its issues, but this isnt one. ....thats why I said.... "I guess reality is finally setting in thats its just like any other OS." Don't you wonder why they thumbed you down 6x, just for speaking the truth bro? All most android users wanna know/hear is anti apple/pro android stories. Anything that's not praising android, and condemning apple gets red. I own the note 2 and ip5, but due to how long I've been with iOS it remains my daily driver, and yes I have issues with BOTH devices here and there. Overall both are top notch though, so I see where you're coming from. I didnt thumb him down....but its like he didnt even read my post. I've never really known you to b childishly hating on apple or disrespecting its users. Wasn't singling u out bro. The patch had nothing to do with Android, it had to do with the Exynos chip, the fact that the chip was in an Android device was irrelevant. This problem is the OS itself blocking data connectivity intermittently, so every 4S updated to 6.1 on that network could be potentially affected by it, whereas only devices using the Exynos chip could possibly be affected by the exploit. So it wasn't Android that had the issue, it was the Exynos chip that had the issue. You put it out of context; you compared a problem that could affect only devices with the Exynos 4210 and 4412, to a problem that could affect EVERY iPhone 4S, or possibly every iPhone running iOS 6.1. It sure does.. It just works...badly! Apparently, you're holding the wrong iPhone 4S. lol.......you should stop hating apple too much nathan...i find you in many apple related articles bashing apple , sometimes for no big reason. Rea-he-he-he-lly?? That was a bash? Oh my God...i didn't know. I thought it was a traditional joke. By the way, i don't hate Apple, i just don't like it the way i do to Androids and WP. My love for Apple died with the 4S...i was speculating a better looking 5, something revolutionary like Apple did with the 4S. I held Apple high before i came here...just not up to it anymore. And yes, those are jokes...i don't think there's any problem in posting them? Nathan? C'mon bro. It's kinda obvious my man. Me not hating android is accurate, you not hating apple...not so much. Why? Cause you have the Note II and i don't? Like i said, i don't hate Apple... Let Apple come up with something totally different but good...save for the OS (i'd like to think it's their identity) and you'll see me vying for it. Wanna bet? Ok that's fair, no argument from me on that. Now u sound more like a techie. I'm primarily an iOS user, but I'm a techie overall. Like I don't have a Mac bro, I have a windows pc, and last valentines day I bought my fiancé a galaxy tab 8.9. I pretty much like it all, and iOS does have its hiccups... I won't deny that, but its a solid OS. Time for a facelift though lol. if ios7 gets a new UI , apple will get back into the game. the UI is getting old but it has a rich UI ! bring the thermo-nuclear war with '5S and math' apple !! Lets hope so, but without the thermo nuclear war. Just a cool makeover. I am having the wifi issues with the iphone 5 on 6.1 and the wheather app keeps crashing too. I've heard a lot of issues with "gray WiFi", where the phone thinks it is connected to WiFi but is using the cellular data, causing massive overages and data consumption (about 7GB more than usual!) iPhail so hard! 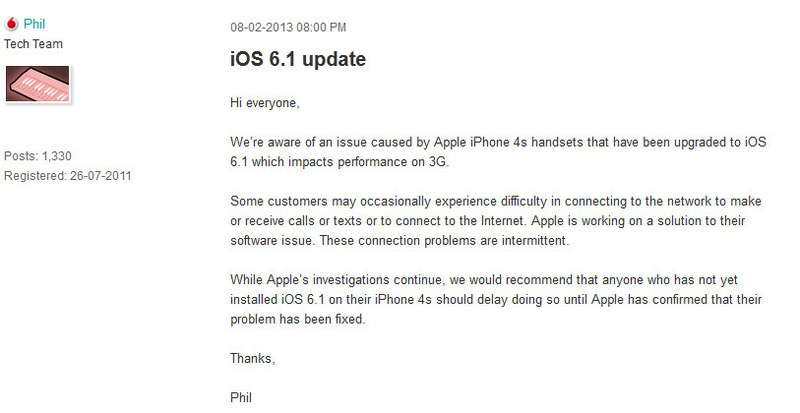 Ya that's the one,it seems a lot of customers have had their WiFi switch disabled by the latest iOS update. The WiFi switch simply won't turn on. A few having this issue also with Bluetooth. Add these new problems to the infamous "cant switch on caller display" fault inherent in iphones and it seems like apple just doesn't like toggle switches! Love your nick and comment xD and darkkjedii, do all of us a favor..................and close your PA acct. K, thnx.